If you wanted your Amazon Fire tablet to have a higher-end look, Amazon may have delivered for you. 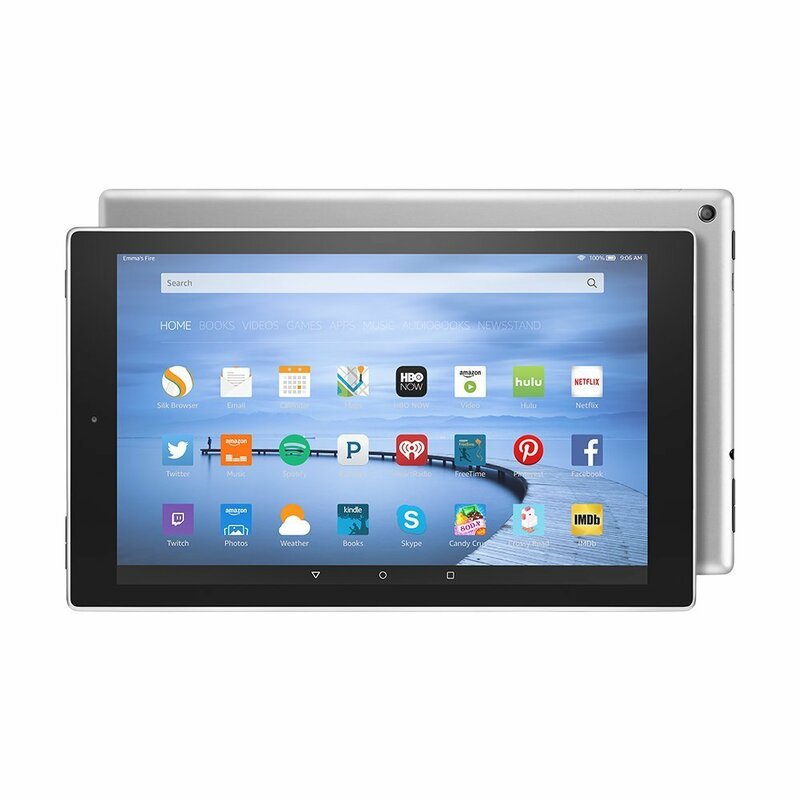 Today the announced that the Fire HD 10 is now available in a sliver aluminum finish. Previous models were plastic only in black and white, so in the appearance department, this may be more comparable to the look of an iPad.. They have also added extra storage with a 64GB option for the tablet (currently, that is only offered on the aluminum model). While the tablet display isn’t quite Retina display quality (it is only 149 ppi / 1280 x 800), it has a 1.5GHZ quad-core processor, dual cameras and connects to the Amazon ecosystem of movies, TV shows, music, books, apps and games. The device is currently available in 16, 32 or 64 GB configurations. You can also add a microSD card for up to 128 GB of additional storage. Prices start at $229.99. Does this new look make the Fire HD 10 more attractive to you? This entry was posted in Kindle Fire and tagged 64GB, Fire HD 10, iPad, more storage, silver aluminum. Bookmark the permalink.